In her blog “Hiking in Stilettos”, Ashley Hamby recently chronicled an October weekend in Bryson City …making us appreciate the fact that she also hikes with camera. Her post included several nice images shot around Bryson City, including the one above. 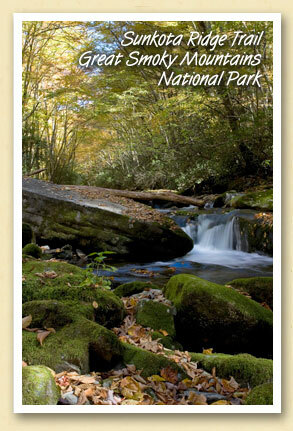 If you’d like to hike this trail, you can download a PDF map of the Deep Creek Trails and Waterfalls from the Bryson City online travel guide.